Firefighters say old wiring may be to blame for a fire at the 7979 Westheimer Apartment complex overnight. HOUSTON (KTRK) -- Firefighters suspect an electrical problem inside the wall of a vacant apartment unit may be to blame for a fire in southwest Houston. 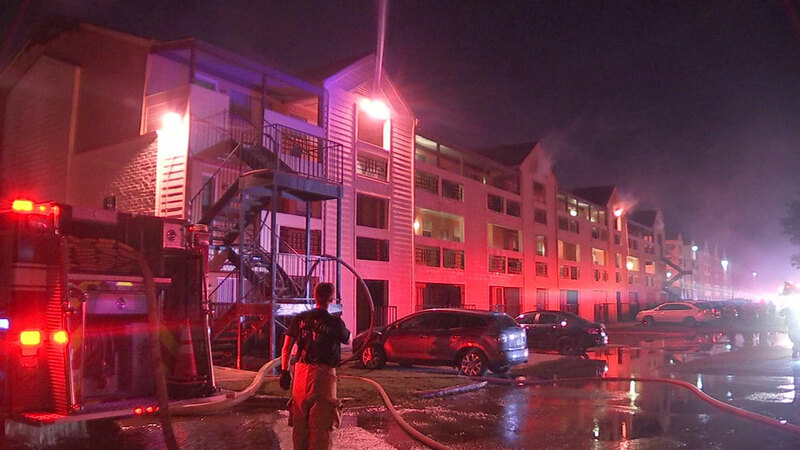 The fire broke out just after 10pm at the 7979 Westheimer Apartment complex on Westheimer Road near Old Farm Road. When firefighters arrived, they found heavy smoke coming from the three-story apartment building. Residents were evacuated from the building. That is when firefighters discovered the source of the blaze in the wall of an uninhabited unit. The fire had also spread to the attic area of the apartment building by the time firefighters had arrived. One unit had fire damage, while six others were affected with smoke and water damage.